My name is Lauren Arona. 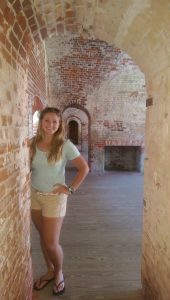 I am a rising senior at Wittenberg University majoring in biology and minoring in marine science. I am the president of the Marine Science Club, active in the Outdoors Club and a member of Alpha Delta Pi sorority. 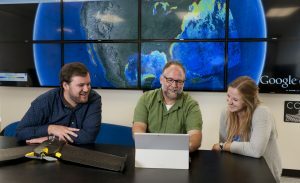 This summer I have the amazing opportunity to work closely with Dr. Dave Johnston at the Duke University Marine Lab on current and upcoming research. I am able to partake in this research though generous funding from a member of the Board of Directors at Wittenberg University. In Dr. Dave Johnston’s lab (The COVE) at the Duke University Marine Lab, sUAS (small Unmanned aerial System are used to monitor seal populations during the breeding season on Saddle and Hay islands off of Nova Scotia, Canada. 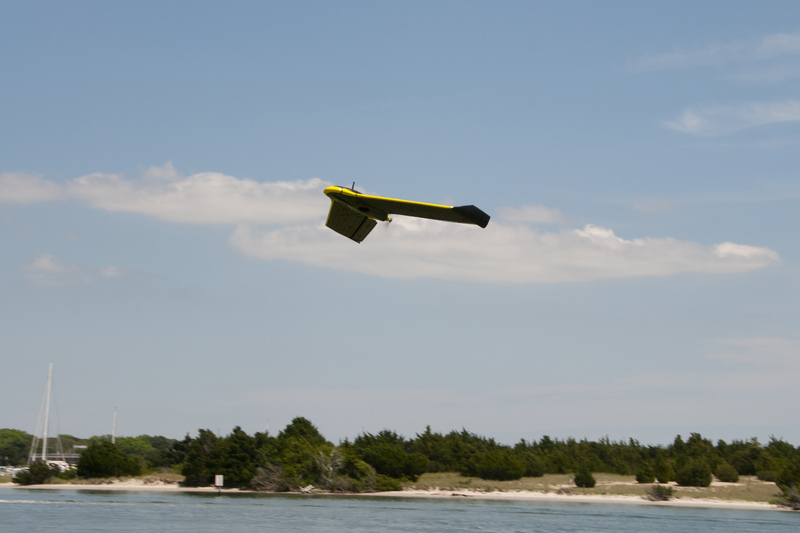 My project will utilize the data collected by the eBee, a commercially available system produced by the company senseFly, to evaluate the gray seal populations on these islands. These data will help to assess changes in the distribution and abundance of grey seals as they experience rapid changes in seasonal air temperatures, precipitation, and sea ice cover. The study is being completed in order to better understand the impact sUAS can have on ecological studies. This study will also demonstrate the advantages of eBee surveys in comparison to traditional surveys via helicopter or airplane for assessing grey seal populations. The use of sUAS is cost effective, safer for scientists to use, and more efficient at collecting data that is of higher quality and better resolution. This method of collecting high quality geospatial data can provide an enhanced environmental context for traditional sampling methods such as those used in ground-based sampling. By using sUAS systems like the eBee, this can be achieved without increasing logistical needs or adding to human risk (Fraser et al. 1999). I will be working in Dr. Dave Johnston’s lab using computers to assess the grey seal populations on Saddle and Hay Islands off of Nova Scotia, Canada. I will do this by utilizing high quality imagery captured by the eBee sUAS. This system collects standard visible imagery and thermal imagery. I will use both to assess the distribution and abundance of the grey seals. Specifically, I will count the number of grey seal adults and pups present on the islands by using the visible spectrum and thermal images captured by the eBee. 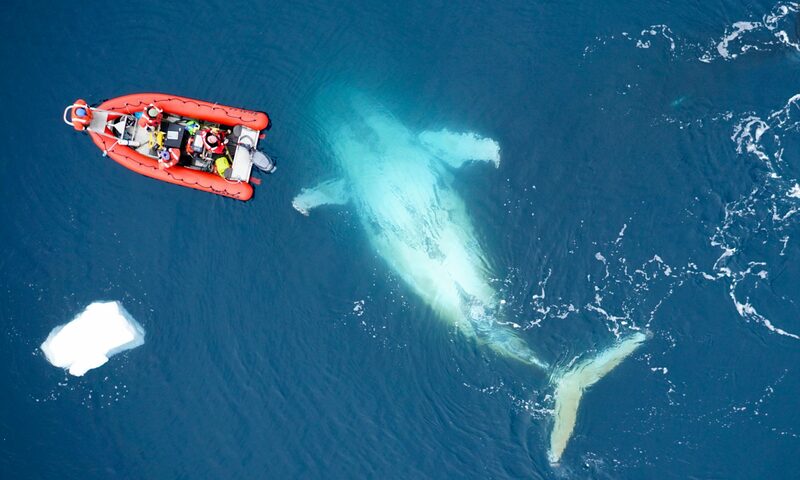 These images will also be compared to traditional imagery from previous surveys to evaluate the effectiveness of sUAS collected data for ecological purposes such as seal population surveys. As part of this project I will also be trained in sUAS programming, flight planning and data analysis workflows. This week was my first week working in Dr. Johnston’s lab. We set up my work area and then I received a crash course in GIS (Geographic Information Systems) and other software that I will be utilizing this summer. Our first goal was to analyze the acoustic data collected from the eBee to determine if using the eBee would be disruptive to natural environment affecting the animals. Many animals such as marine mammals and sea turtles require a permit to do any research on them. The results from the data collected shows that the eBee will not have a negative affect on these animals and can be utilized in future research. After completing the data analysis, I have started to write the research paper to presented the findings, so that other researchers will be able to benefit from this study as they more forward with their research. 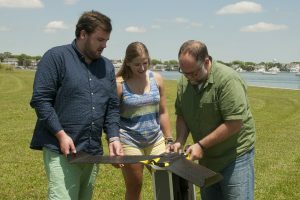 Scott Taylor, a photography professor from Carteret Community College stopped by the COVE later on this week to discuss the current projects and take pictures of the eBee. I was impressed by Scott’s interest in the project but it just goes to show the strong community support of the research that is done not only at the Duke University Marine Lab but also at the other laboratories in this area. I am looking forward to seeing what is in store for me as I get more in depth with this research in the weeks to come! Previous PostPrevious The COVE opens! Next PostNext I didn’t crash it! !